ProSource® of Jacksonville proudly partners with trade professionals in our area who want high-quality products at low wholesale prices. We specialize in wholesale flooring materials, such as carpet, hardwood, laminate, tile, and vinyl. Our online catalog and local showroom make it easy for trade pros and their homeowner clients to browse beautiful displays and find the right floors for your home remodeling project. We are dedicated to helping our community recover and rebuild from recent flood damage. Floors are one thing that don’t withstand flood waters well, which is why we make it fun and affordable to buy the materials you need to create your space. Our Jacksonville showroom is just one of nearly 145 locations in our ProSource network across North America. We leverage this large buying power to offer our trade pros and their clients unbeatable deals on wholesale flooring products. We carry carpet of all types, styles, fibers, brands, and more. 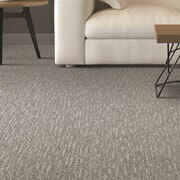 The choice for carpet is obvious: It’s comfortable, soft, easy to clean, and affordable. Browse these products or learn more about the carpet materials we offer. Hardwood flooring is a luxurious material that is both beautiful and durable. 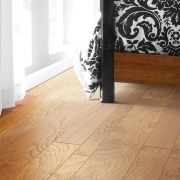 Rooms are transformed with instant character when hardwood floors are installed. We carry hardwood flooring from your favorite brands in our showroom. Learn more. 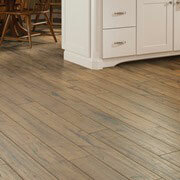 When tile or hardwood floors aren’t in the budget, turn to laminate. It’s an incredible flooring material that directly replicates the look of hardwood, tile, and even stone. You can hardly tell the difference in the look and quality, but you can in the cost. 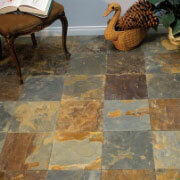 Tile flooring is a great option in Jacksonville. It’s easy to clean and is weather-proof, making it perfect for those beachside houses that tend to track in sand. Tile is also one of those versatile materials that can move up the walls into backsplashes and other beautiful displays. Luxury vinyl tile (LVT) and luxury vinyl plank (LVP) are two wholesale flooring materials that are great options for residential spaces. We also carry engineered stone and sheet vinyl for varied styles and budgets. 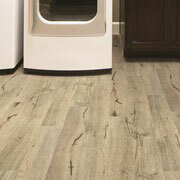 Like laminate, vinyl flooring is a great alternative option for smaller budgets.